Haulin Aussies is a small kennel located in Sacramento, Ca. The dogs are loved, bred, and owned by Suzette, Chelsie Pendo and Sahara Lowry. 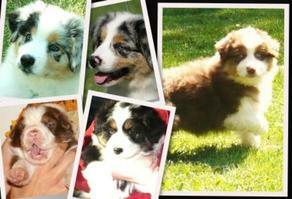 We breed for a smart, beautiful, correct Aussie. Check out photos from our recent dogshows! Enjoy some of our pics, and feel free to email or call with inquiries.